Challenges of Developing Event-Driven Serverless Systems at Scale — Rob Gruhl discusses the design considerations of Nordstrom’s event-sourced architecture working off a distributed ledger. 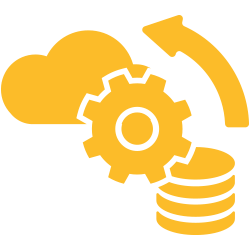 See How You Can Go Serverless from Your DBaaS Platform — Percona discusses options and considerations to guide you to a Serverless database environment. Building a URL Shortener with Go and AWS Lambda — A tutorial leaning on the new native support for Go on AWS Lambda. By the way, we have a Go newsletter if Go is your thing. Six Lessons Learned from Going Serverless — Some serverless tools, tips, and tricks one developer wish he knew at the start. Coherence API: A New Remote Function Platform — A new serverless platform supporting Python 2/3 and .NET Core 1.0 and 2.0. It plays on a similar ‘call a remote function as if it were local’ theme to Stdlib. How to Build an Alexa Skill on Azure Functions — Building for an Amazon product doesn’t mean you have to use Amazon’s serverless platform. This tutorial shows how to do it all with C#. Hello World: Creating Functions using Fission in Go — An introduction to using Fission Functions and creating a serverless function with Go. Bringing Tokusatsu to AWS using Python Flask, Zappa and Contentful — Basically a tutorial on building and deploying a Python app to AWS Lambda and using a third-party CMS.